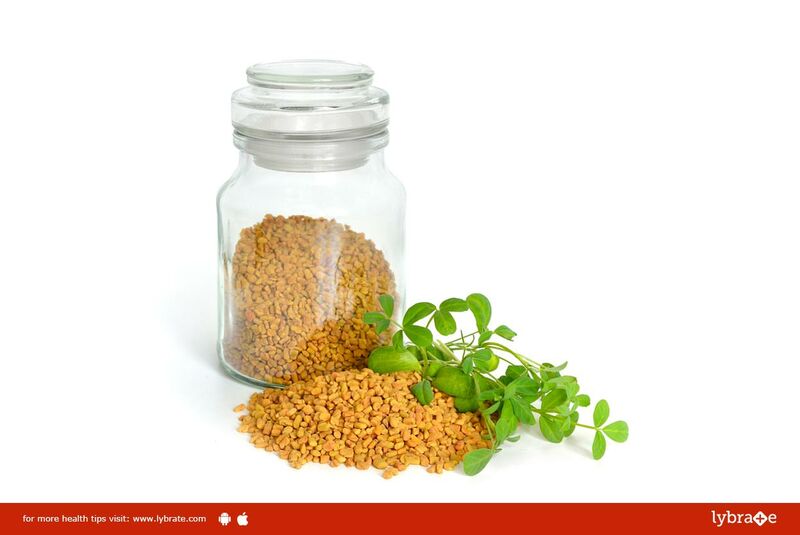 Fenugreek – Why To Consume It? Fenugreek is a highly medicinal herb, which belongs to the pea family, also commonly known as Greek hay. Fenugreek when eaten raw has a bitter taste, and is often used in herbal medicine. The herb is primarily used for inflammation, and is added to cosmetics and soaps. 1. Helps with digestive problems and cholesterol- Fenugreek contains water soluble fibre, which helps to cure constipation. The herb also helps with digestion and is especially used to treat ulcerative colitis, because of its anti-inflammatory properties. It also controls cholesterol and is especially beneficial for patients with heart conditions. It also helps with diabetes, as fenugreek effectively lowers the blood sugar in the body. 3. Effectively increases libido function-The herb, a natural cure for impotence, helps with sexual arousal and increases the testosterone levels in the body. It also helps with the treatment of hernia and erectile dysfunction in men. 4. Increase the production of milk in nursing mothers- The presence of galactagogue in fenugreek, helps promote the production of breast milk in women. ← Heart Bypass Or Stenting – Which Is Better?